Though it has nine main segments, one for each year recorded, The Black Power Mixtape can be described as a kind of three-act tragedy. The first phase is one of radical eloquence and increasingly bold, militant organization. Stokely Carmichael is the star of the proceedings but we also see a grassroots Black Panther schoolroom in Oakland and hear Panther co-founder Bobby Seale declare that “we will defend ourselves, we will shoot … because we are bent on survival.” Crackdown occurs in the next phase: Eldridge Cleaver speaks unconvincingly from Algiers about “government-in-exile” but at home thousands of activists are imprisoned and scores killed. (When we see Davis after her release she is speaking from a platform that appears to be protected by bulletproof glass.) The final part of the film relies heavily on Lars Ulvestam’s documentary Harlem: Voices, Faces which dwells on the spreading blight of heroin. In one clip a young former prostitute and addict talks to camera about turning her life around, but it is arguably the discourse of self-betterment itself that contributes to an impression of isolation and vulnerability. The language of politics and the idea of a mass movement are no longer present. Although the voiceover commentators shortly afterwards discuss the lasting achievements of the struggle for black liberation in the 1960s and 70s, I could not shake a feeling of loss which emerged from the gulf between the defiant confidence of Davis’s jail-cell remarks and the suffering words of this lonely Harlem woman. The Black Power Mixtape 1967–1975. Photo: Tom Goetz. © Story AB. Courtesy of IFC Films / Sundance Selects. The film’s relationship to history is ruminative. Because of the audio commentary The Black Power Mixtape stages a “moving conversation between past and present,” as B. Rich put it in her spring 2011 Film Quarterly Sundance report. The dialogic mode of presentation means that it would be hard to watch the film without reflecting on the question of viewpoint. The Swedish crews who filmed the source footage were visitors to the U.S., reporting from a country in crisis and at war, their sympathies evidently extended to such people as the Hallandale, Florida veteran who speaks near the start of The Black Power Mixtape about being “ridiculed, discriminated, treated as less than a man … the environment has a whole lot to do with keeping a man down.” But is there truly an outsider perspective on such a history? When Olsson includes 1973 footage of a tourist bus tour of Harlem, its Swedish guide talking up the danger of street crime, before cutting to a camera position inside a police car, the question no longer permits of an easy answer—and that is how it should be. I met Göran Hugo Olsson in London on October 14, 2011, during the London Film Festival (October 12–27). Thanks to Faith Taylor and Varun Kanish for arranging the interview. Rob White: What was your starting point for The Black Power Mixtape? Göran Hugo Olsson: I was doing research on a film about Philadelphia soul music in the 1970s and I had decided that the film was going to be all nighttime footage. There was no index of night shots at that time in the Swedish National Broadcast Company archive so I had to look through everything that was shot in the U.S. from 1965 to 1980. Then, on a single day, I happened to see both Stokely Carmichael’s speech made in Stockholm (where he talks about Dr. King and nonviolence) and also the Angela Davis interview from jail. I was blown away. I realized that this material really is a treasure and also that it wasn’t only my privilege to put it out to an audience, it was also my duty—in a librarian kind of way. This material couldn’t lay around forever; it had to be put out, and put out in a way that’s accessible for an audience in high school or university. So I found those two cornerstones of the film and at the same time I identified a story. You have 1967 in black-and-white: great-looking suits, good-looking people, Stokely so charming and brilliant. Then 1972 in vivid color: Angela Davis is in the basement of this jail facing the death penalty for something no one believed she’d ever done. Can you say something about the assemblage and editing of the film? I deeply respect the people onscreen, but also I respect and admire the filmmakers. I wanted to keep some of the look and the feel from that era, although we often changed the original cutting because by today’s standards the pacing is very slow. Apart from the main sources (stand-alone documentaries, segments from Sixty Minutes-type current-affairs series, news clips), there are also three or four images which we actually bought from outside, notably the shot of Robert Kennedy dying. I knew we had to contextualize the sources. So we used contemporary voices to react to the archival images, but also we worked with those images that take us from one year to another. What’s contextually so important is the war in Vietnam, but I didn’t want to have the usual images. There’s one shot from Vietnam—an American soldier kicking a Vietnamese boy—but that’s an Emile de Antonio film clip inside one of the source films. Then there’s the shot of a huge bomber taking off: a long shot that’s different from the usual images of fields being bombed and so on. I wanted to make points about the historical context, but I didn’t want to be too obvious about it. I also wanted a certain roughness. I wanted the audience to have kind of the same feeling as I had when I looked through the archive the first time—so it didn’t seem too prepared. Another example of avoiding clichés was the use of onscreen graphics. I wanted to have very correct information, where it could be stated: the name and the place and the year. I didn’t want to use anything like the typical blaxploitation graphics because this is a cool, collected, correct Swedish film. 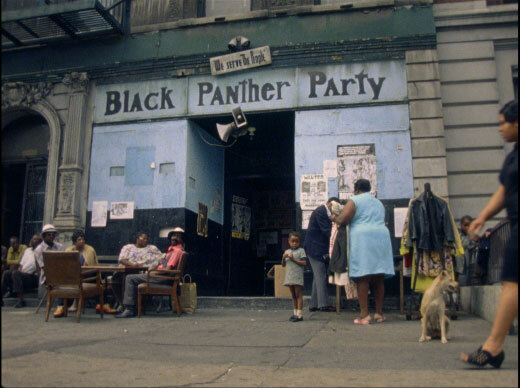 The Black Power Mixtape 1967–1975. Photo: Anders Ribbsjö. © Story AB. Courtesy of IFC Films / Sundance Selects. Speaking of Swedishness, can you say something about the clip of the tourist bus in Harlem? That clip fulfills several purposes. For a start it’s kind of funny and you need something funny. Also, what may not be clear is that middle-class (and older) people paid a lot of money to go to Harlem as tourists. They were curious, even if they weren’t totally sympathetic, and you can respect that. But then you have that safari thing too. But that bus tour is a metaphor for the film, surely? The shot unsettles one’s own perspective: one can’t virtuously watch this material and be on the side of victims of injustice without considering the question of whether this involves real solidarity or just a spectacle. Yes. And that’s a tricky question. I think maybe you have a little bit of both. Also it’s very easy to sympathize with people in history—the image of them back then. At the same time I did try to make it clear that we Swedes are looking into this. We are not a part of this. We don’t have the American experience. I don’t understand this situation at a deeper level. I state that at the beginning of the film. I didn’t make a film about the black power movement or underprivileged people in America, I made a film about the Swedish point of view on it. Because that’s what I could do; I couldn’t go to the Bronx now and make a film there. That time has passed, though it was right to do it then. The contemporary way of doing such a thing is totally different now that you have people in every community doing video and doing blogs. The awareness of media is totally different. Today you can’t visit anymore, dropping down and doing documentary films. What about the mixtape concept and the voiceovers? I didn’t want to take amazing archive footage and inspiring people and remix them into something new. I wanted to keep the feeling both of the persons on screen and the intentions of the filmmakers. Also the film breaks down into eleven chapters—equivalent to eleven songs. A mixtape is something you make for someone you like, someone you want to impress: here’s this song, but hold on the next one is even better, and there’s an arc, you want to tell something. I didn’t want to make this a hard-hitting issue film. I wanted to keep it more open, so you can do your own math. Or think of it this way: you have this material and you have options. You could make an online archive of it or something like that. Or you could make a bold documentary statement. Or you could do something in-between, which was my intention. We worked hard to get voices talking over images, deepening the experience, making another layer of time and perspective and context, and then you have music too. I was also thinking of DVD commentary tracks. It’s actually easy as a viewer to handle those two sources of information—image and commentary—very smoothly, especially with older films. In terms of recording the interviews, it was very organic. We built it as we went along. I would have one segment edited, I would show it to someone and they commented and then I edited the comments in, and then I thought about what else we needed. I was living in New York at this time. I interviewed Erykah Badu in a tiny dressing room at NBC Studios. Of course I had to travel; I even flew to Oxford to interview Robin Kelley. The last interview I did, just a couple of weeks before Sundance, was with John Forté, producer of The Fugees. He had been in prison, and I knew the Mixtape needed to get more into the prison issue in regard to the killing of George Jackson, the Attica uprising, the imprisonment of Angela Davis. In the case of Forté, I posted images online for him. Then he recorded himself in his own studio on an excellent microphone while we were talking on the phone. Afterwards he uploaded the recording. The thing is that, no matter how good, how beautiful the archive material you have, it’s still very claustrophobic because you’re locked in to this space and time. I wanted to use voices to add oxygen into that container. Why did you decide to include the Harlem interview with the former prostitute? 1972 is the beginning of the decline of the movement, and of solidarity toward it from other people. 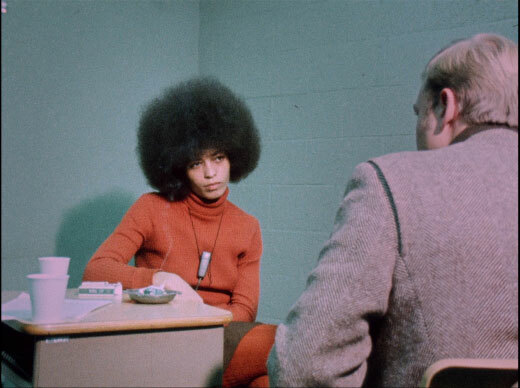 We could have ended the film in 1972, with Angela Davis being released from jail. But I think we had to show society’s backlash—that things didn’t change for the better. Originally I wanted to have more in the film about the urban housing situation, which was a total catastrophe, and we didn’t really cover that enough in the film. But we did deal with the question of drugs. We’re going downward in the film and you could say we hit rock bottom with the interview with the prostitute. I showed that interview to many people and asked, “Is this too much? Can I show this?” And they all said, “Yes—because she’s so strong.” There’s something so strong in her. At the beginning of the process, some people did say: “You can’t have this tragic ending.” But I had no complaints by the end. I really couldn’t do this film without putting the drugs issue on display because it was so important at the time. And, by the way, although you don’t see it so much anymore, it became almost a cliché at the time (in Sweden as well) with people speaking about their drug addiction on television. Yes, sure, it’s depressing, but it’s compensated for by things like Erykah Badu saying that there’s a happy ending with a lot of unhappy middles, and also that we have to produce our own histories and write our own books. I did try in the last chapter—in the last “song” of the last year—to get a survey of people reflecting on the legacy.